~~FLORIDA TRUCK~~CERTIFIED PRE-OWNED WARRANTY INCLUDED~~CLEAN AUTOCHECK/NO ACCIDENTS REPORTED, ONE OWNER, 4X4, LEATHER, Cummins 6.7L I6 Turbodiesel, 4WD, Remote keyless entry. 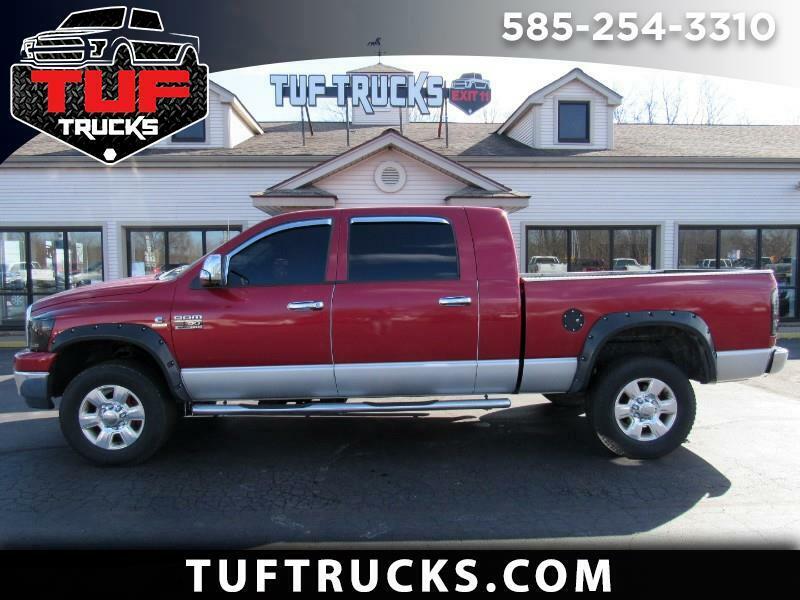 2007 Dodge Ram 2500 SLT 4WD 6-Speed Automatic Cummins 6.7L I6 Turbodiesel Recent Arrival! Most vehicles are eligible for upgraded warranty packages that cover your vehicle for many repairs from day one up to 5 years or 100,000 miles depending upon the vehicle purchased. See dealership for additional warranty pricing. Information provided deemed reliable, but not guaranteed. Interested parties should confirm all data before relying on it to make a purchase decision. All prices and specifications are subject to change without notice. Prices may not include additional fees such as government fees and taxes, title and registration fees, finance charges, dealer document preparation fees, processing fees, and emission testing and compliance charges. While every attempt has been made to ensure the accuracy of the data displayed, Tuf Trucks and Tiffany Transportation Services Ltd. is not responsible for any errors or omissions with the price of vehicles, optional equipment or any other kind of accidental omission. Please verify all information with sales consultant. Message: Thought you might be interested in this 2007 Dodge Ram 2500.